Home > Government & Politics	> An Unemployment Emergency? 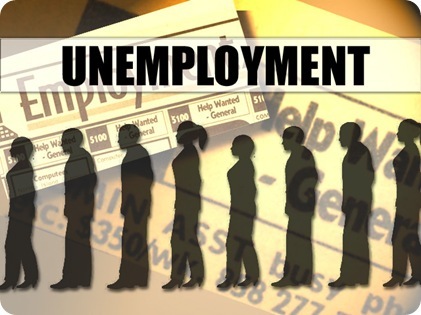 In the past two days, Congress passed and President Obama signed a bill extending unemployment benefits. The bill retroactively reinstated benefits which expired on June 1, and it extends them through November; just days after the 2010 mid-term elections. Coincidence? No. Politics? Yes. The legislation started out costing over $100 billion and got trimmed to $34 billion after eliminating the extension of certain tax benefits and additional money to help the states. The major political battle that’s been brewing for the past 8 weeks has focused on how to pay for the extension of benefits. The proponents wanted to fund it with additional deficit spending, and the opponents to the legislation wanted to reallocate money from the $787 billion Stimulus Bill. In the end, the proponents won out. Aside from the question of how long should the government continue to extend benefits, the issue of how to pay for the benefits is a legitimate debate. Although it’s political, it’s bigger than politics. In February 2010, Congress passed a statutory Paygo rule. Basically, it’s a self-imposed rule that Congress must pay for all future discretionary spending of the government (which only accounts for about 35% of all spending). However, they gave themselves an out. Emergency spending is exempt from the Paygo requirement. Thus, the President and his supporters considered extending the benefits an emergency. I disagree. An emergency is a sudden and unexpected situation or event. Terrorist attacks, natural disasters and accidents are emergencies. The unemployment situation when President Obama was inaugurated could have been considered an emergency, but that was 18 months ago. The economic recovery remains very tenuous, but I don’t think we’re in a state of emergency. My opposition is not over the extension of the benefits. My objection is Congress’ propensity of ignoring and rewriting laws, rules and regulations to avoid difficult decisions. It is much easier to classify the extension of unemployment as an emergency, rather than make a politically unpopular choice of raising revenue or reducing other spending. As a result, the red ink of the US government continues to flow unabated like the oil from an uncapped Macondo well. In the big picture, $30 billion is a drop in the bucket. We’ll rack up that much debt in the next 10 days. So what’s the big deal then? In principle, I agree with the controversial position Sen. Bunning took when he held up a similar extension bill back in February. If Congress can’t find a way to pay for an additional $34 billion of spending, they will never make the tough decisions necessary to balance the budget. I think Congress was right to extend the benefits, but I also think they should have found a way to pay for it.